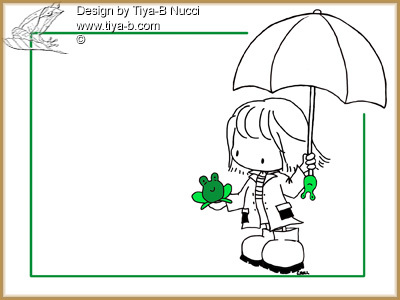 Its raining today so i decided to make a rainy-day card. I wasn’t too creative this week and didnt feel like doing any cards, but today I’m finally crafting. 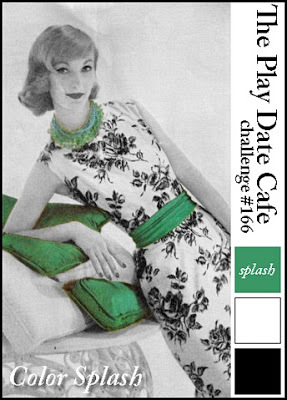 Here’s my entry in Playdate Cafe the splash of green is in the frogs, how unusual for me to think frog when someone says green, i often think of frogs. It must be tiddly links day since that’s where this digital stamp is from… i found this image while looking for the image of the village i used in my previous blog post (village). Entry filed under: Play Date Cafe, Tiddlyinks. This is such an adorable image. Love your emerald splash! Thanks for joining us in the Play Date Cafe! So cute! Great take on the splash and so glad you could play along with us at PDCC this week!